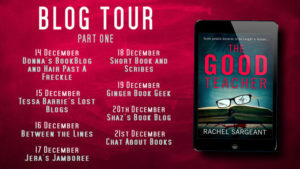 I’m delighted to be able to share an extract from The Good Teacher by Rachel Sargeant with you today. 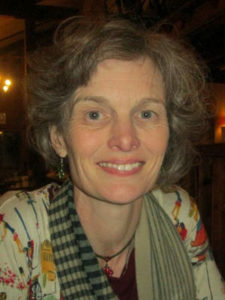 Thank you to Rachel for asking me to take part in her blog tour. Hello, everyone. 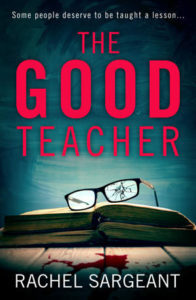 I’m delighted to be here at Short Book and Scribes to share with you the closing paragraphs of the first chapter of The Good Teacher. A big thank you to Nicola for hosting me. What time is it now? Exhaustion giving way to panic again. How long can she survive without a drink? It’s been hours and her lips feel like crumbling plaster. Gaby makes another effort to calm down by breathing in through her nose and letting the air slowly reach her lungs.